Check whether the deck needs planning permission. Is the timber strong enough for the job? Is it treated to the right Use Class? Does the deck need a balustrade? Have you checked the spans? Is there a danger of slipping on the deck or steps? Have you mixed metal fasteners? For more information in England visit www.planningportal.co.uk. Contact your local authority for details of requirements for Scotland, Wales and Northern Ireland. 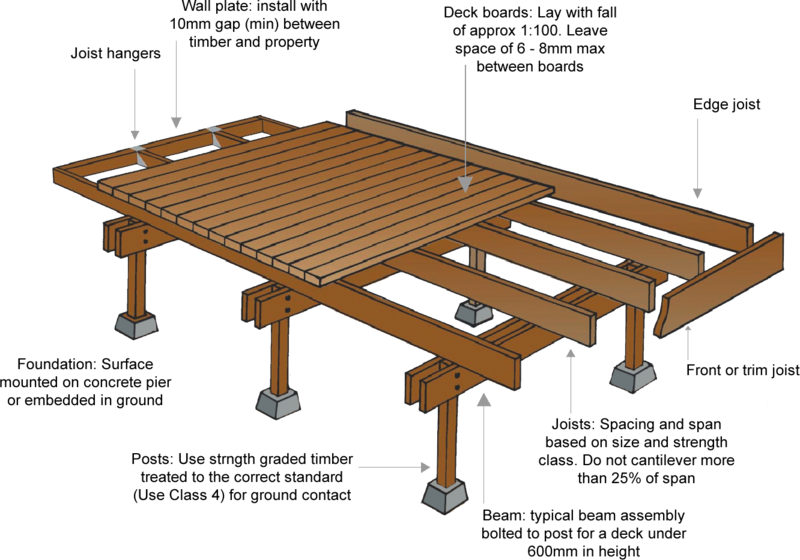 As decks are load-bearing structures, it’s vital that correct design practices, due care, materials and installation techniques are used. As a general rule, any deck that requires planning permission will also require detailed construction drawings to establish that it is safe and fit for purpose. Check with your local authority. 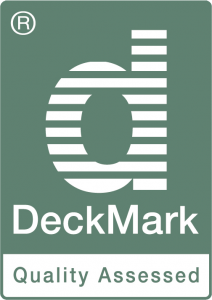 For assurance of quality, look for components manufactured under the DeckMark® quality accreditation scheme for decking. The complexity of build depends on the site and height from the ground. 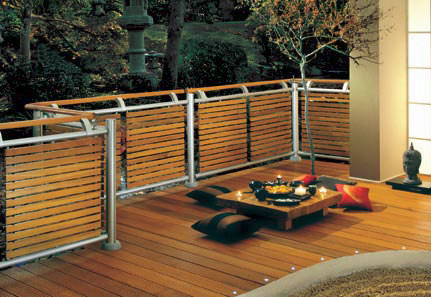 Timber decks can be attached to a property or freestanding. For new properties, the National House-Building Council (NHBC) requires all decks to conform to Timber Decking and Cladding Association (TDCA) guidelines. The information in this Timber Trade Topic is based on those guidelines. Chain of Custody certified hardwoods and softwoods are now widely available and designers should ensure that the materials they specify can be supplied from sustainable and managed forests. All decks should be built with strength-graded timber. Strength class C16 is considered the minimum standard, with C24 recommended for heavy domestic or commercial structures. For hardwoods, C30 is the minimum strength class. Good quality pressure-treated softwoods with a medium or high density rating will give good wear resistance not only for private and domestic decks, but for most commercial projects as well. Species with lower density ratings, like Western Red Cedar, are more appropriate to domestic deck structures. 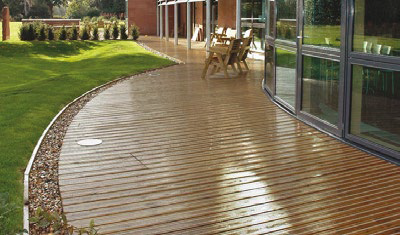 Anti-slip decking boards, with grip inserts, are often used to give extra security. Occasional stiff brushing will reduce slipperiness. 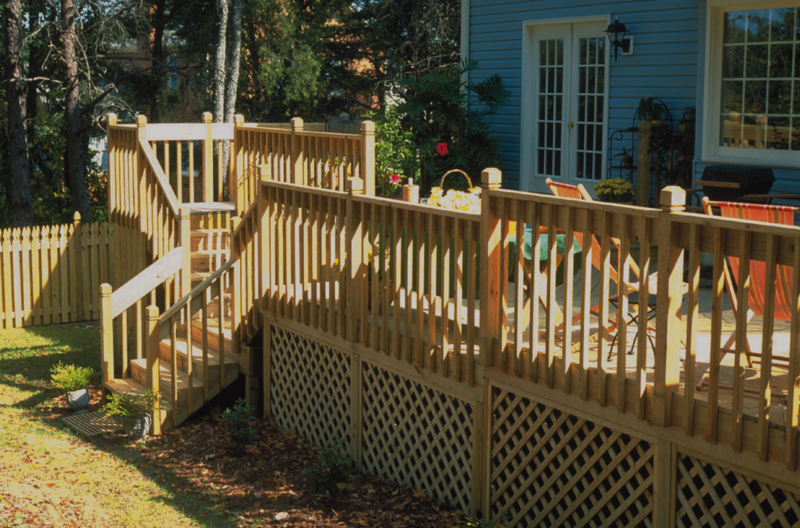 Prevent standing water and saturated wood by designing a slight fall into the deck surface. Grooved boards, which channel water flow, can improve drainage further. Lay them so the channels are in the direction of the fall. Specifying a water repellent treatment will also help. Corrosion is the biggest threat to fixings used out of doors. Stainless steel, hot dipped galvanised, or high quality coated carbon steel fixings are best. Electroplated, brass, or uncoated steel fixings should not be used. Do not use aluminium either. Always use the same type of metal for fixings and connectors. Clear all vegetation from under low level decks. If the area under the deck is visible, lay weed-suppressing sheeting, held in place with clips or a layer of gravel. When cross cutting or notching pressure-treated wood on site always brush the cut ends with an end-grain preserver available from your timber supplier. This will ensure the wood continues to be fit for purpose and avoids invalidating any manufacturer’s guarantee. For decks raised less than 600mm from the ground, building regulations require parapets or balustrades to be at least 900mm high. For decks raised more than 600mm, balustrades must be 1100mm high. Spaces between individual components, like a baluster or rail, should never exceed 100mm. 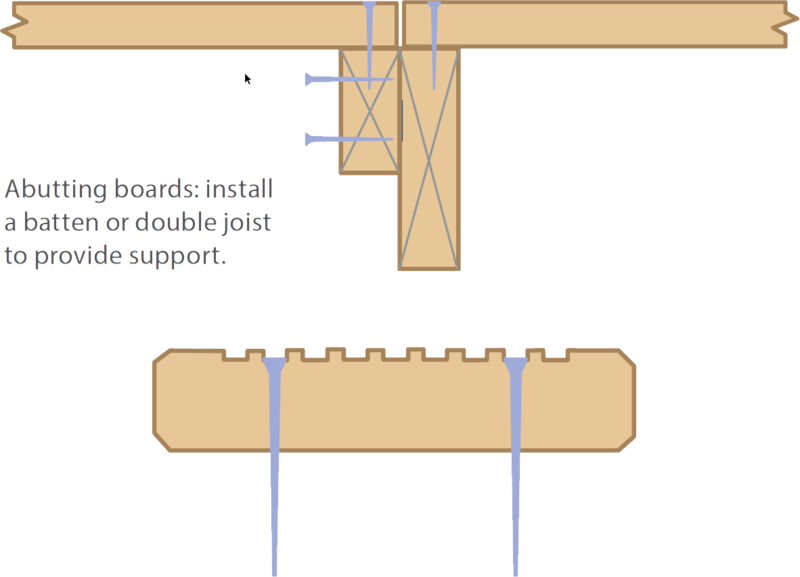 All newel posts should be capped to avoid water being absorbed into the grain.